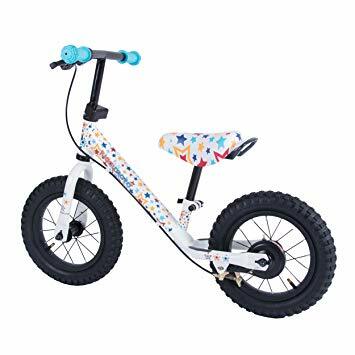 Balance bikes are so popular now that you will see both boys and girls whizzing around as they learn to balance, steer and brake before graduating to a proper pedal bicycle. 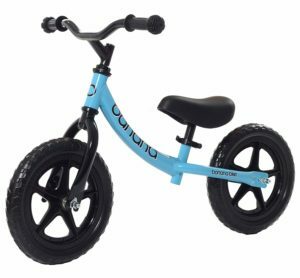 Most balance bikes are unisex in design, although almost all of the main manufacturers will offer their most popular models in a range of colours. 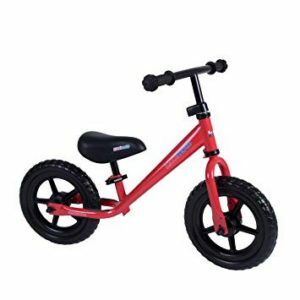 We have already covered pink balance bikes, which will probably appeal to the girls in your family, so if you are looking for a boys balance bike then you will most likely be looking for a bike with a bright red or blue colour, or one with a funky or sporty design. 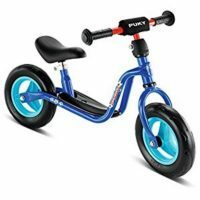 Many of the bikes you are probably looking at for a 2 or 3 year old from manufacturers such as Puky, Strider, WeeRide or Kettler all offer blue versions of their best-selling models. 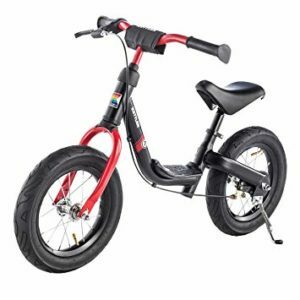 There is a great range of sporty balance bikes available which will be ideal for the little boy in your family. You could choose a BMX style bike such as the Chillafish BMXie, or one of the bikes we have featured in our article on motorbike balance bikes. 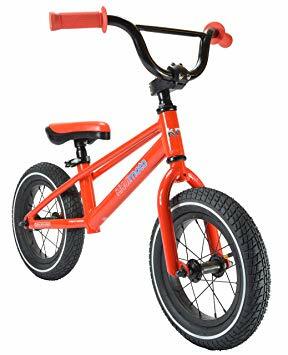 However, our favourite sporty boys balance bike is the Strider Sport, which is ultralight and has an adjustable saddle from 29cm – 41cm so it is suitable for all ages. 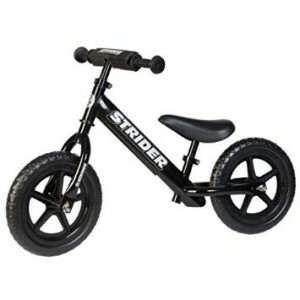 The Strider Sport features a padded performance seat with mini handlebars and grips, as well as a footrest to help your little boy learn to balance as well as pull off some tricks! The bike includes puncture-proof EVA tyres so it is easy to maintain and it is available for £88. 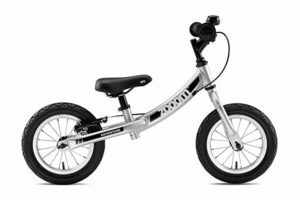 We have made some recommendations in our post on best cheap balance bikes, and all of these bikes are suitable for both boys and girls. 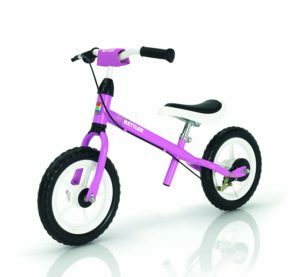 There are some great value bikes with both wooden and metal frames available between £30 and £40, but perhaps our favourite is the Banana balance bike. 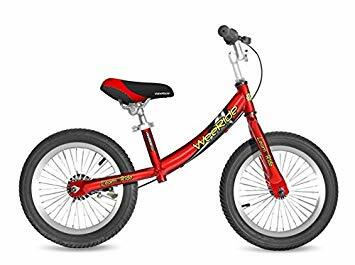 This bike looks really cool with a curved, banana shaped frame, and the 2019 version is new and improved with a twin bearing headset for improved steering and improved tread pattern for better grip. 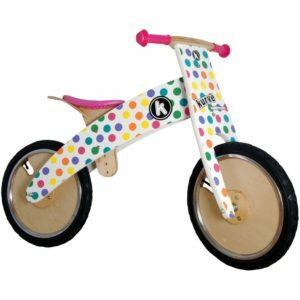 Wooden balance bikes can be painted in all sorts of fun and funky designs, and we think that little boys will love the range of Kiddimoto Kurve balance bikes! 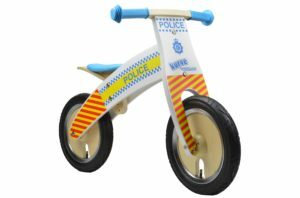 These bikes are most suitable for 3 year olds and upwards, and are available in a number of exciting designs including Police (pictured below), Fire and Union Jack. These quality bikes look amazing and include pneumatic rubber tyres for a smooth ride as well as a padded seat. 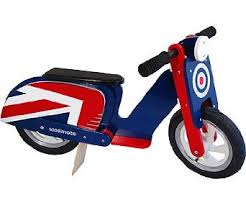 Kiddimoto Kurve balance bikes are available from £45. 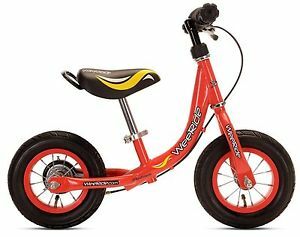 Slighty higher up the price range is the Adventure Zooom balance bike. This bike has an aluminium frame and a range of quality features coupled with a sleek and stylish design. 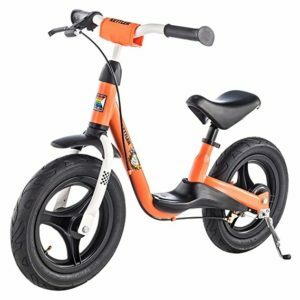 The Adventure Zooom will cost just over £100 so it is more expensive than most other models we have features, however it is a quality bike so makes a great introduction to cycling. This is a just a small selection of the huge number of balance bikes that are available for boys of all ages from 18 months up to the age of 11 or 12, so with such a great choice you should be able to find the best boys balance bike!